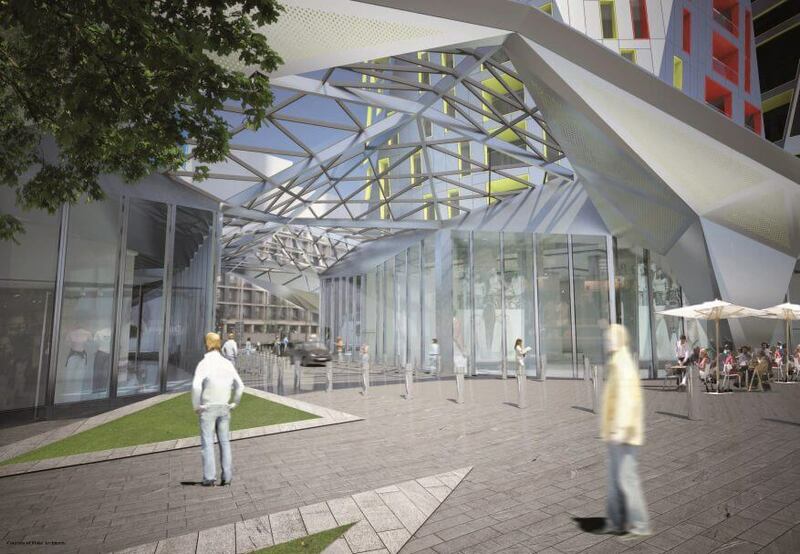 Occupying a 1.6 hectare site along Cherry Orchard Road, this project will transform the area surrounding East Croydon train Station into a vibrant this canopy draws a multitude of new routes across the site to provide a secure and inviting environment for pedestrians. 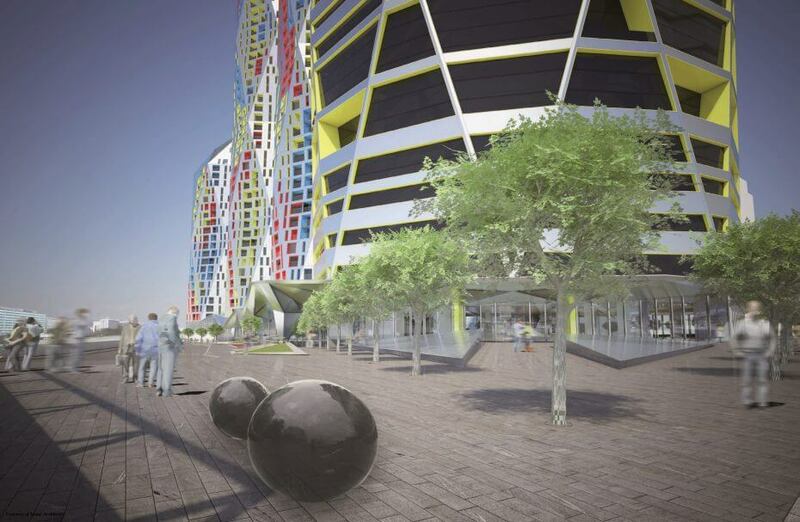 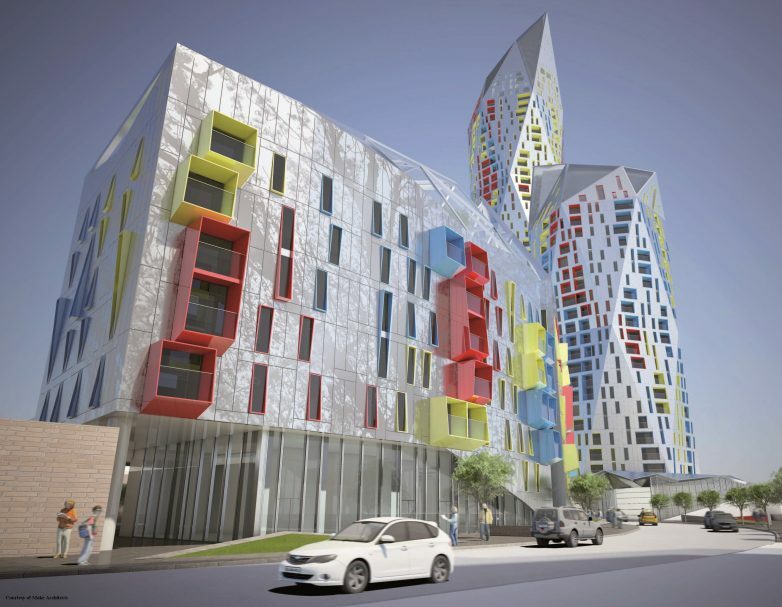 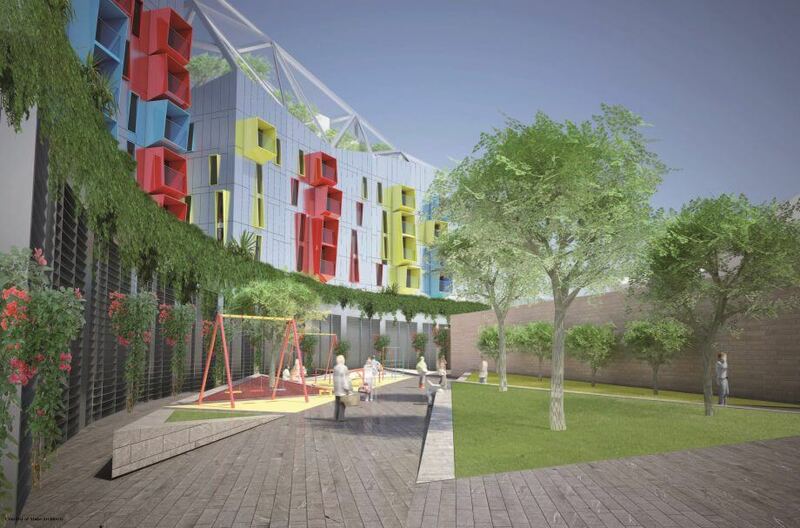 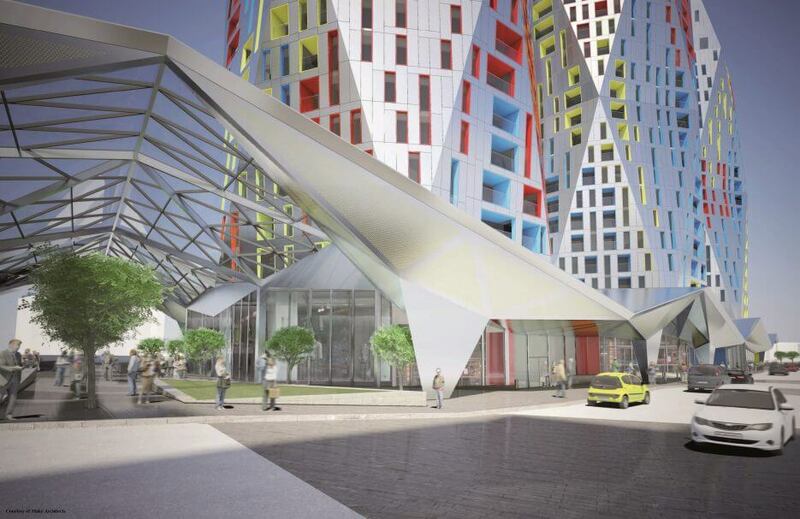 The towers rising above are clad in a faceted reflective skin and contain a range of residential transport interchange are central to the proposals, and the development breathing space to this otherwise densely developed area. 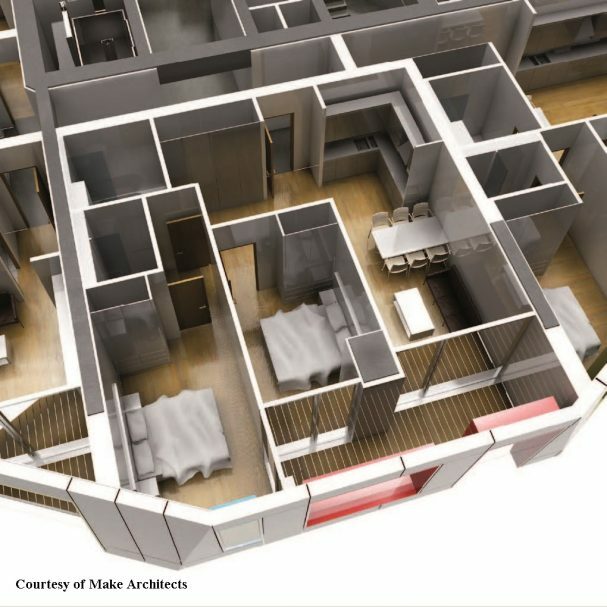 Both the overall The residential sectors were designed with maximum efficiencies in terms of space planning. 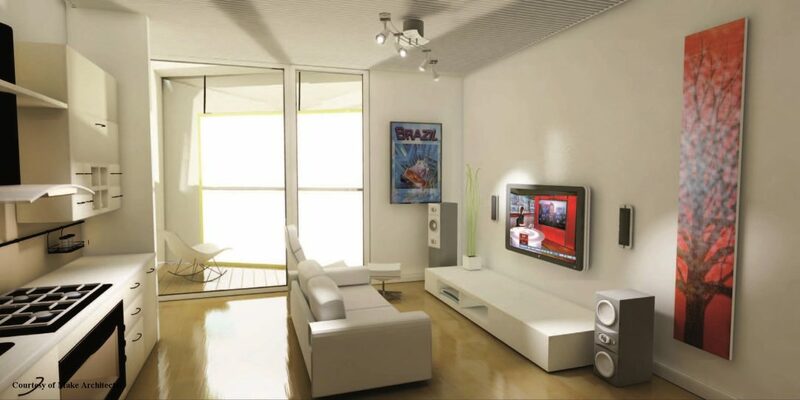 However, the apartments were designed in a way which could still provide the feeling of quality and spaciousness.